Parish’s outdoor picnic table makes it super easy for me to lock up my bike, grab some fresh oysters any way chef wants to prepare them, and go on a bro-date with my Bike Law pals. Few things make me happier than a brunch on the Beltline! Head over to Ladybird and indulge with The Fluffernutter, a peanut butter and marshmallow creation that brings back all of the sights and smells of those summer-time s’mores! Bruce’s Bite: Although I’m not too sure Kevin would want me dining here in my bike shorts, when I am feeling like something special on the Beltline, I am always game for some eggplant fries and a filet. One of our favorite date-night spots, Barcelona has some killer tapas and even better wine. My wife and I always used to split an order of the Patatas Bravas as our appetizer, but those things are so damn good I have started ordering my own! Spring is all about enjoying the sunshine, Ahi Tuna Crudo, and people watching on the dog friendly patio at 4th & Swift with my lab, Phoebe. When you’re out riding on a beautiful Atlanta day, you can work up quite a sweat. Nothing goes better with bicycling (for those 21 and over of course) than a cold Craft Beer from one of Atlanta’s great Beer shops, Hop City. 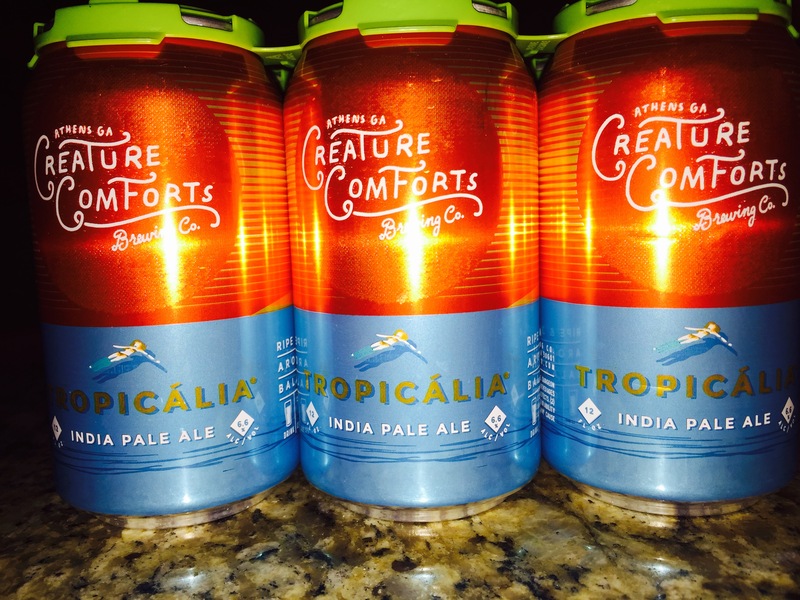 Bruce prefers the crisp refreshing taste of Tropicalia IPA from Athens based Creature Comforts Brewery, but you can’t really go wrong with the vast selection available from Hop City. Bikelaw (www.Bikelaw.com) is a national group of attorney/advocates with a passion for bicycling and who are committed to making bicycling safer, friendlier and enjoyable for everyone. Bikelaw only works with a tiny group of lawyers from all over the US who share this commitment, and when they wanted someone here in Georgia who stood for all things bicycling, they sought out our friend and frequent Atlanta Eats contributor Bruce Hagen. Bruce and his law partner Ken Rosskopf have been helping to protect the rights of injured bicyclists for years, but beyond that, they spend significant amounts of time working with local advocacy groups, police departments and cycling clubs to help make cycling in Atlanta as safe as possible. With the explosion of interest in bicycling in Atlanta, especially among millennials and young entrepreneurs, it’s incredibly important that bicyclists’ rights are protected and that we as a community do as much as we can to help foster an environment of mutual respect between pedestrians, bicyclists and motorists. Bikelaw is a big part of that effort. For more information or if you would like Bruce to come speak to your local cycling club, contact “The People’s Lawyer” by email Bruce@Bikelaw.com. With that in mind, go get on your bike, be a responsible rider and, most importantly, have fun!